We’ve been working on Service Worker for a long time now, and whilst we are seeing more and more sites have pages controlled by a Service Worker, the vast majority of sites don’t even have a basic fallback experience when the network is not available. 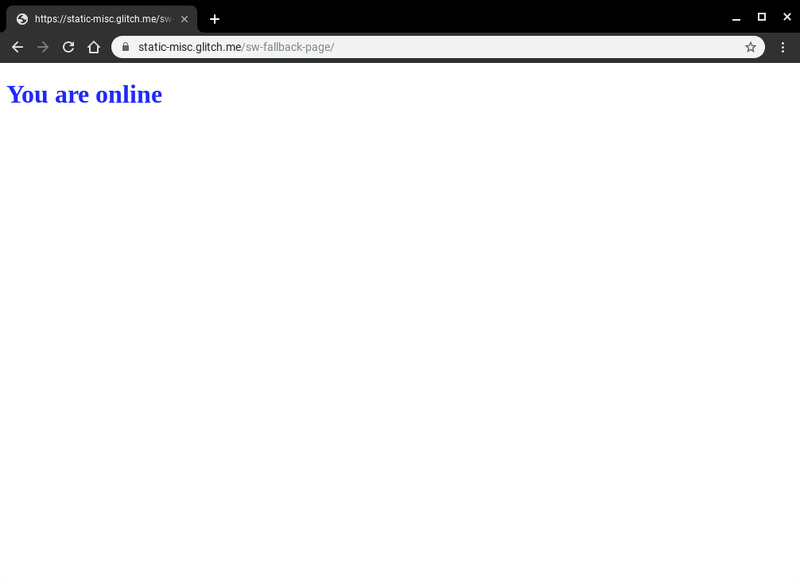 I asked my good chum Jake if we have any guindance on how to build a generic fall-back page on the assumption that you don’t want to create an entirely offline-first experience, and within 10 minutes he had created it. Check it out. For brevity, I have pasted the code in below because it is only about 20 lines long. 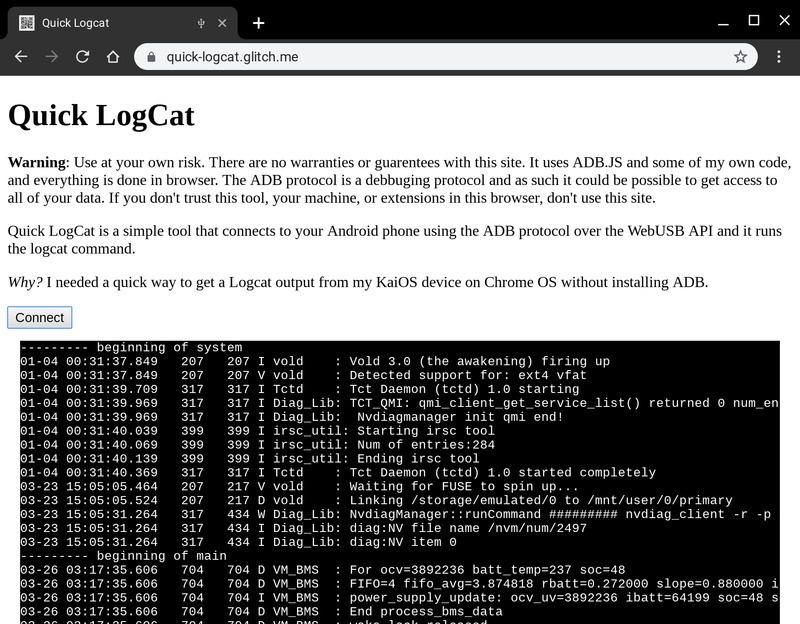 It caches the offline assets, and then for every fetch that is a ‘navigation’ fetch it will see if it errors (because of the network) and then render the offline page in place of the original content. That is all. When the user is online they will see the default experience. And when the user is offline, they will get the fallback page. 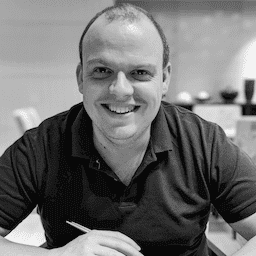 I find this simple script incredibly powerful, and yes, whilst it can still be improved, I do believe that even just a simple change in the way that we speak to our users when there is an issue with the network has the ability to fundamentally improve the perception of the web for users all across the globe. Update Jeffrey Posnick kinldy reminded me about using Navigation Preload to not have to wait on SW boot for all requests, this is especially important if you are only controlling failed network requests. I’ve updated by Hugo based editor to try and use EditorJS as, well, the editor for the blog. I struggled a little bit with the codebase, the examples all use ES Modules, however the NPM dist is all output in IIFE ES5 code. But once I got over that hurdle it has been quite easy to build a UI that looks a bit more like medium. I’ve been playing around a lot with the Shape Detection API in Chrome a lot and I really like the potential it has, for example a very simple QRCode detector I wrote a long time ago has a JS polyfill, but uses new BarcodeDetector() API if it is available. You can see some of the other demo’s I’ve built here using the other capabilities of the shape detection API: Face Detection,Barcode Detection and Text Detection. I was pleasantly surprised when I stumbled across Jeeliz at the weekend and I was incredibly impressed at the performance of their toolkit - granted I was using a Pixel3 XL, but detection of faces seemed significantly quicker than what is possible with the FaceDetector API. Checkout some of their demos. It got me thinking a lot. This toolkit for Object Detection (and ones like it) use API’s that are broadly available on the Web specifically Camera access, WebGL and WASM, which unlike Chrome’s Shape Detection API (which is only in Chrome and not consistent across all platforms that Chrome is on) can be used to build rich experiences easily and reach billions of users with a consistent experience across all platforms. Augmentation is where it gets interesting (and really what I wanted to show off in this post) and where you need middleware libraries that are now coming to the platform, we can build the fun snapchat-esque face filter apps without having users install MASSIVE apps that harvest huge amount of data from the users device (because there is no underlying access to the system). Barcode lookup for more product details in your stores web app. I just spent 5 minutes thinking about these use-cases — I know there are a lot more — but it hit me that we don’t see a lot of sites or web apps utilising the camera, instead we see a lot of sites asking their users to download an app, and I don’t think we need to do that any more. The API in Chrome is vastly different on every platforms because their underlying implementations are different. Android only has points for landmarks such as mouth and eyes, where macOS has outlines. On Android the TextDetector returns the detected text, where as on macOS it returns a ‘Text Presence’ indicator… This is not to mention all the bugs that Surma found. The web as a platform for distribution makes so much sense for experiences like these that I think it would be remiss of us not to do it, but the above two groupings of issues leads me to question the long-term need to implement every feature on the web platform natively, when we could implement good solutions in a package that is shipped using the features of the platform today like WebGL, WASM and in the future Web GPU. Anyway, I love the fact that we can do this on the web and I am looking forwards to seeing sites ship with them. I saw a tweet by a good chum and colleague, Mariko, about testing on a range of low end devices keeping you really grounded. 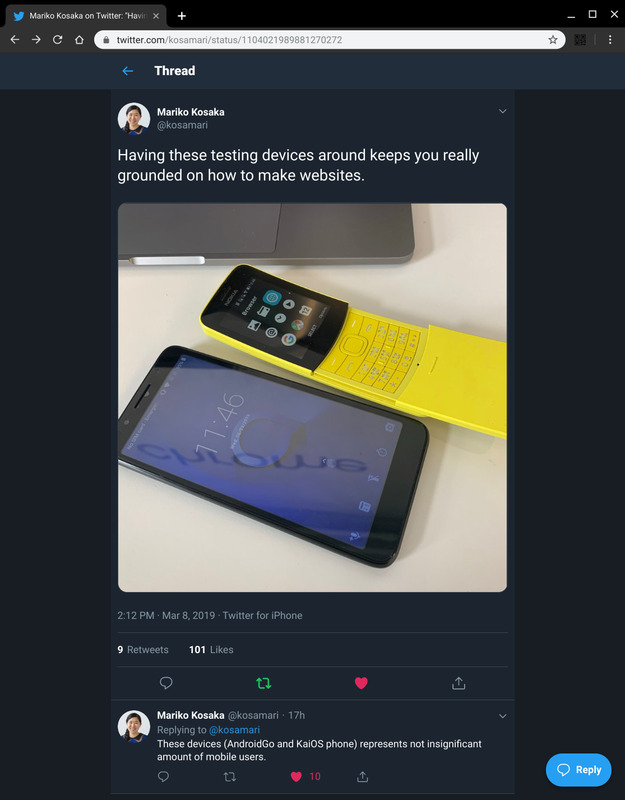 The context of the tweet is that we are looking at what Web Development is like when building for users who live daily on these classes of devices. Viewport oddities, and mysterious re-introduction of 300ms click-delay (can work around). Huge repaints of entire screen, and it’s slow. For many of the pages I was building, even on a fast wifi connection pages took multiple seconds to load, and subsequent interactions were just plain slow. It was hard, it involved trying to get as much as possible off the main thread, but it was also incredibly gratifying at a technical level to see changes in algorithms and logic that I wouldn’t have done for all my traditional web development, yield large improvements in performance. I am not sure what to do long-term, I suspect a huge swathe of developers that we work with in the more developed markets will have a reaction ‘I am not building sites for users in [insert country x]‘, and at a high-level it’s hard to argue with this statement, but I can’t ignore the fact that 10’s of millions of new users are coming to computing each year and they will be using these devices and we want the web to be the platform of choice for content and apps lest we are happy with the rise of the meta platform. I was just reflecting on some of the work our team has done and I found a project from 2017 that Robert Nyman and Eric Bidelman created. 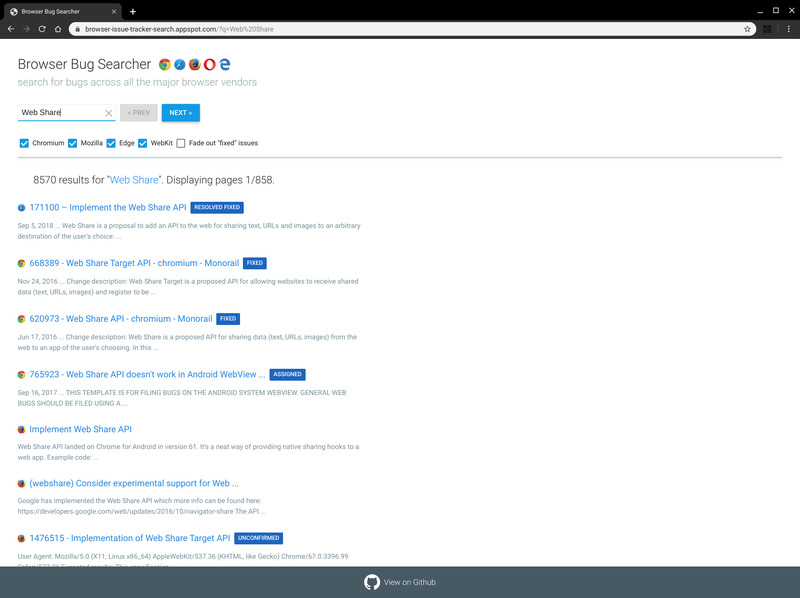 Browser Bug Searcher!. 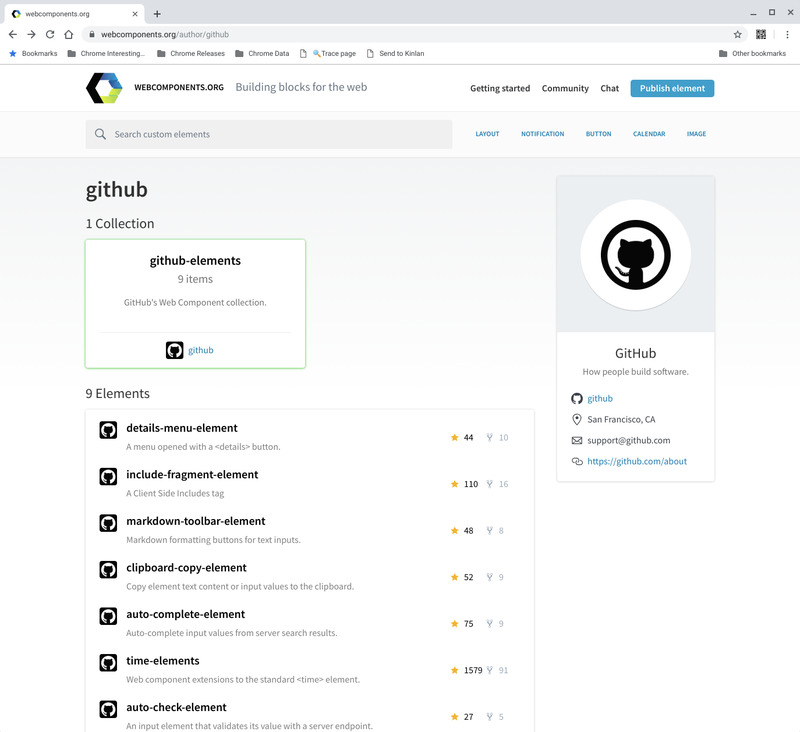 It’s incredible that with just a few key presses you have a great overview of your favourite features across all the major browser engines. This actually highlights one of the issues that I have with crbug and webkit bug trackers, they don’t have a simple way to get feeds of data in formats like RSS. I would love to be able to use my topicdeck aggregator with bug categories etc so I have a dashboard of all the things that I am interested in based on the latest information from each of the bug trackers. I was looking for a quick markdown editor on https://www.webcomponents.org/ so that I can make posting to this blog easier and I stumbled across a neat set of components by github. I knew that they had the <time-element> but I didn’t know they had a such a nice and simple set of useful elements. The way we (as an industry) implement GDPR consent is a mess. I’m not sure why anyone would choose anything other than ‘Use necessary cookies only’, however I really can’t tell the difference between either option and the trade-off of either choice, not to mention I can verify that it is only using necessary cookies only. History will judge us all on this mess, and I hope it will be a case study for all on the effects of nationalism, self-interests, colonial-hubris, celebrity-bafoonery. I’ve frequently said that for web apps to compete effectively in the world of apps, they need to be integrated in to all of the places that users expect apps to be. Inter-app communication is one of the major missing pieces of the web platform, and specifically one of the last major missing features is native level sharing: Web apps need to be able to get data out of their silo and into other web sites and apps; they also need to be able to receive the data from other native apps and sites.